Featuring "The Baddest Wraps on the Planet"
When it's time to be your best, break records and destroy the competition, It's time to join UG Nation! Powerlifting, Bodybuilding, Crossfitters, Fighters & Fitness Enthusiasts nationwide excel daily using Unbreakable Gear powerlifting gear and apparel, with our gear USPA Powerlifting approved, along with all other federations, except USA Power lifting. From lifting straps, to weightlifting belts, knee & wrist wraps to knee sleeves, UG has lifting equipment to make you a better athlete. 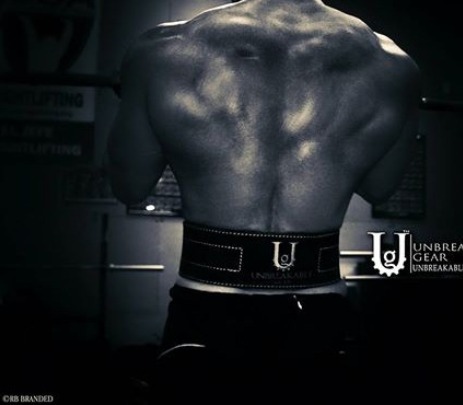 When you need a solid lifting belt, look no further. The Unbreakable Gear Belt features Black split leather and heavy duty stitching that will endure any abuse. The belt measures 4" by 10mm and is available in sizes S- 2XL .It provides great core support for powerlifters, weightlifting, strongman & crossfit training. Available in both Lever and prong.